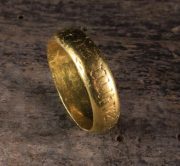 A French Antique Gold ''Poésie'' Ring, probably 17th Century, engraved with sprigs of foliage and inscription 'Ne Lieu Autre'. 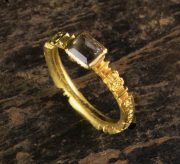 An 18th Century 22 Carat Gold Memorial Ring with square cut quartz flanked by panels inscribed 'J KING OB 21 Sept 1732, ÆT 40'. 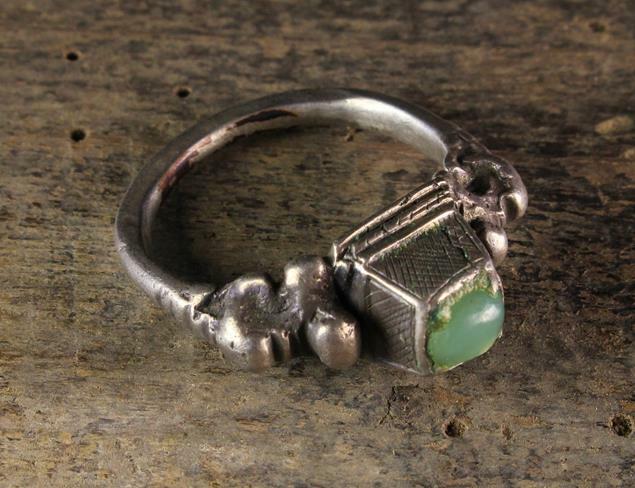 A 16th Century German Ring set with a jade cabochon in a raised trapezoid mount with cross-hatched sides and cast decoration to the shoulders. 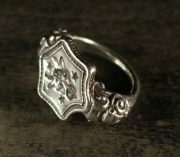 A Gent's Silver Seal Ring (worn on the thumb or over a glove), 16th Century. The hexagonal signet with a bull's head and three stars, between decorative scrolling shoulders. A French Mediaeval Gold Ring set with an emerald (A/F) and decorated with scrolling stems of ball flowers to the shoulders. 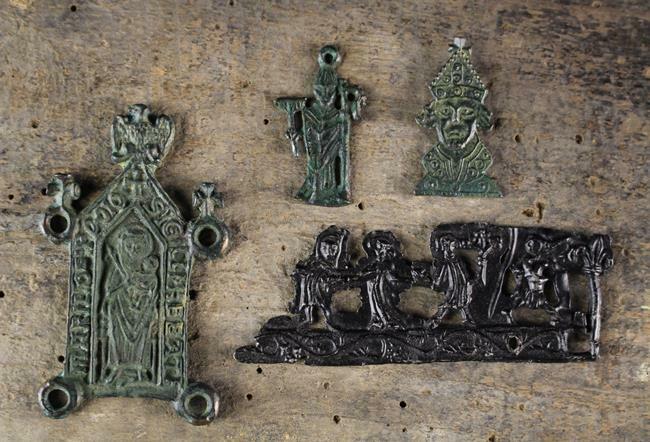 Three Small Medieval Pilgrim Badges and a casket mount cast with dancing figures. 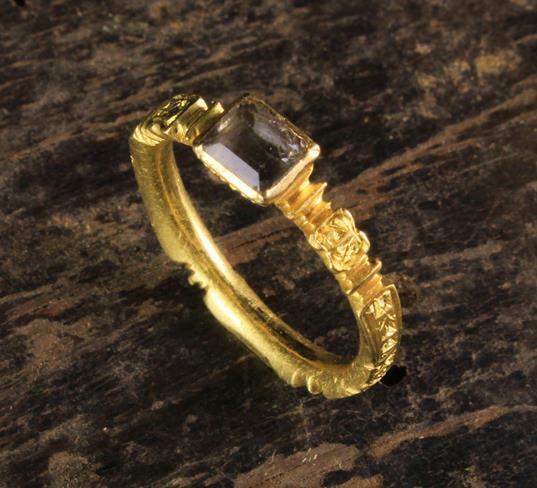 13th-15th century. 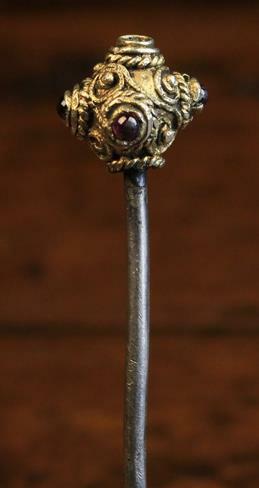 A 16th Century Gilt Metal Cloak Pin; the ornamental finial inset with small semi-precious cabochons. 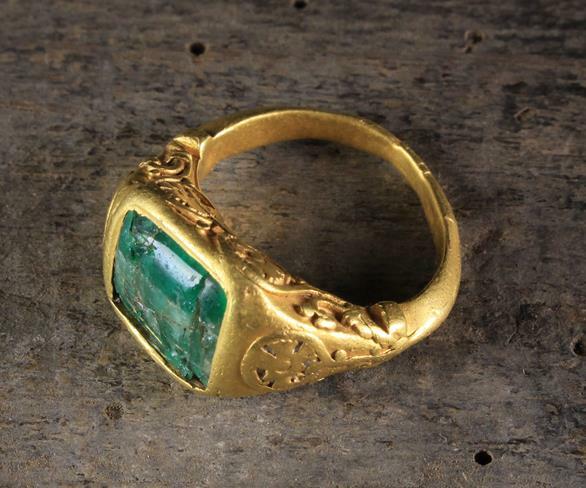 A 19th Century French Gold Tie Pin. 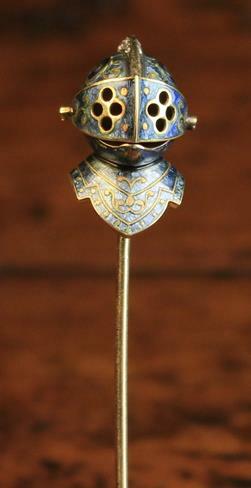 The finial fashioned as a knight's helmet decorated in gun metal translucent enamel and encrusted with diamonds along the comb and to the pivots of the articulated visor. The pin with maker's mark, slightly mistruck, probably for Jean-Hippolyte Voitelain, active after 1862. 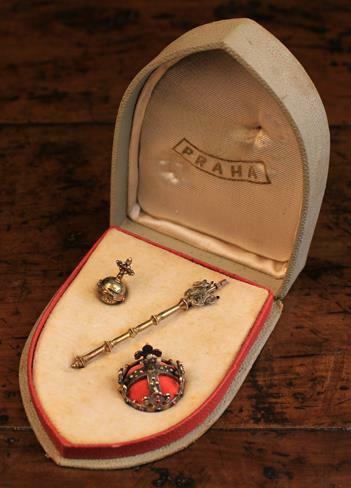 A Soluna Praha Boxed Set of Miniature Silver Gilt Crown, Scepter & Orb , 20th Century. 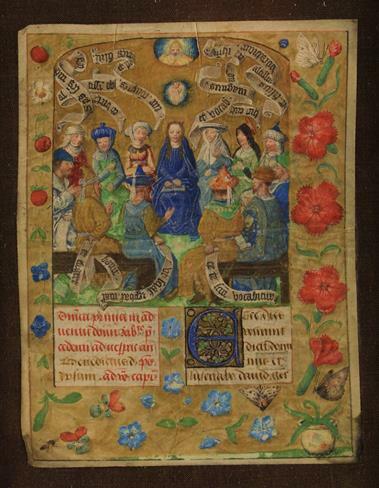 A Small Medieval Illuminated Manuscript, Flemish, Circa 1500. Intricately painted with ''The Presentation of Mary in the Temple'', surrounded by inscribed banderoles. The border decorated with trailing carnations, nemophila, heartsease, and wild strawberries interspersed with moths and butterflies, 4½ in x 3½ in (11.5 cm x 9 cm). Set in a moulded gilt frame with brown silk clad mount, 11¼ in x 8½ in (28.5 cm x 21.5 cm).